An inexpensive 10 gallon fish tank was purchased at Walmart for about $12 and was being elevated by two ladders and a strong wooden board between each one. A Squeegee thingy was also purchased with the tank to remove water drops that splash onto the surface of the glass after dropping fruit or vegetables. You will also want to get some Windex and some paper towels to remove any smudges or residue from the glass before setting it up for photos. 20X30 foam board (black) was used as the background. It was being held up by a reflector holder which was attached to a light stand. You can make the background darker if you move it further away from the fish tank, but you will need something bigger than a 20x30 board. A Nikon SB-700 Flash was underneath the tank on a tripod, aimed up at the board (you only need this flash if you are using a white background) while two LumenPro LP160 flashes were attached to the two light stands on 1/32 power. One LP160 flash was above the water aimed downward; this casts the reflections coming from the water surface onto your subject. 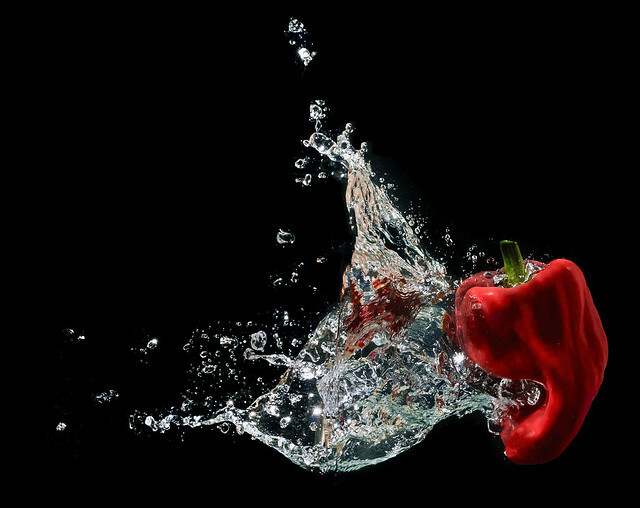 The second flash was in front of the fishtank, towards the right side, aiming slightly upward at the pepper. You can position the lights in any way you want, this is just how I was doing it for this session. You may want to get some adjustable brackets to mount to the top of the light stands in order to tilt the flash up and down. All flashes have RF-602 receivers attached to them, although you can set any given flash to "Slave mode" and it will fire whenever it detects another flash firing, so you don't necessarily need three RF-602 receivers on all of your flashes if you are working in a small studio space like this; you really only need one. The RF-602 receivers can also be placed on any standard tripod screw, so if you already have an extra tripod but no light stands handy, you can just use a regular tripod. The LumenPro LP160 flashes are only $170 and have the same amount of light output when compared to the Nikon SB-900, a flagship flash that costs $500! Keep in mind the LP160's are manual flashes; nothing about them is automatic. This doesn't bother me at all because I mostly use manual mode anyway. The camera that was being used (least important item) was a Nikon D300s with a 50mm prime lens and the RF-602 transceiver to fire the flashes when the camera takes a picture. Last but not least: The stuff you drop into the fish tank! In the video I was using regular peppers, but you can use anything. 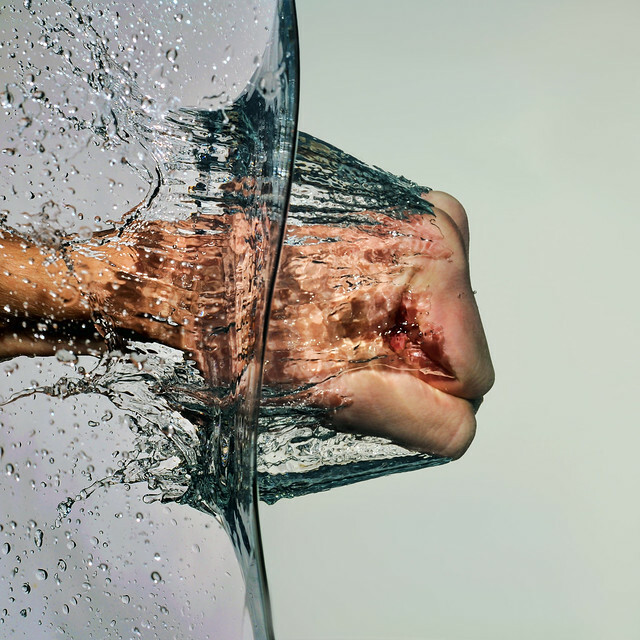 Legos, coins, lemons, limes, miniature pumpkins... you can even just use your fist to punch the water in anger if you can't decide what to use. The waterline was removed in Photoshop in the photo above. 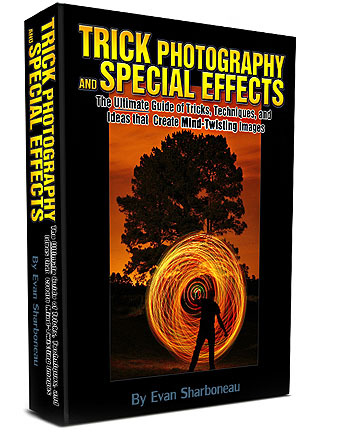 If you liked this tutorial and want more, be sure to check out my Trick Photography and Special Effects ebook+video course. okey that is awesome picture, like a movie and i think i have to learn how to create like that..
this is wonderful easy tutorial , thanks for the video and e-books. its very helpfull for me. Thank you for this amazing video! I do have a question. You say the camera is on 1/160 of a sec. But my camera has a flash sync time of 1/250 of a sec. Don’t we get some problems by ignoring this sync time? Richard, your sync time of 1/250 is the max sync time while still allowing full flash. (If you went to 1/500 for example, you would end up getting half the photo in flash, and the other half capturing the “shutter” and having half the image black. This setup was using 1/160 shutter speed, which is SLOWER than your max sync speed of 1/250, so yyou can use these same settings. I’m on a limited budget. Can’t I just use my LED work light on a stand? Hey Even, thanks for the tutorial. I bight you e-book about 3 or 4 years ago, I use it in my high school photography classes. FYI, I have made the lighting set up even simpler. I use the on camera flash and a small screw-in flash that looks light a light bulb. I paid about $40 or 50 buck for it a few years ago. The camera needs to be pointed at a little bit of an angle to avoid a hot spot on hte aquarium. Other than that, everything else is the same.